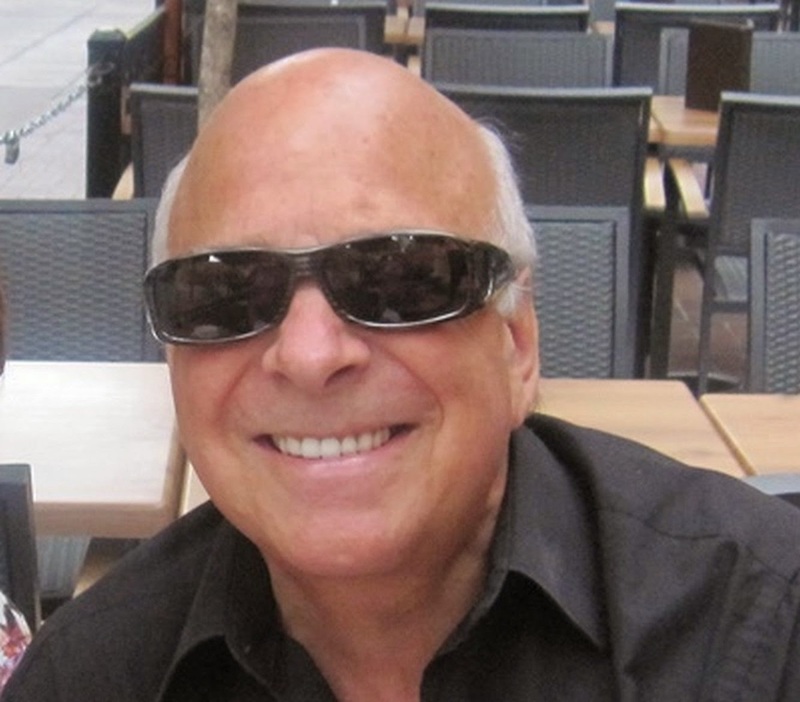 Glenn Ashton's political blog: a curiosity about things political, history, novel writing, and other things. 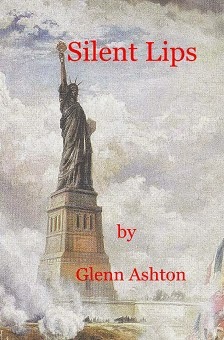 Glenn Ashton writes interesting books. Do you think our city and other governments have climate change policies that really really really enthuse citizens? Do you think that our governments would be glad to have at least one policy to combat global warming that does indeed entice thousands of ordinary people to take active steps to reduce global warming? I came up with the idea of having one of our major cities or a province or the federal government launch a global Eco-Nobel Prize, coupled with a global Eco-Lottery to fund the prizes and CO2 reducing projects, and offered it to them. If you think you can persuade any person in any level of government in Canada to adopt the idea, feel free to refer this to them and turn them loose! And may the world be saved. The full details of the idea are set out in my unsuccessful proposal to the City of Vancouver, copied below. In 1992 the Union of Concerned Scientists penned a World Scientists’ Warning to Humanity and sent copies to governmental leaders all over the world. The second warning in 2017 showed that little progress had been made. This ethic must motivate a great movement, convincing reluctant leaders and reluctant governments and reluctant peoples themselves to effect the needed changes. The scientists issuing this warning hope that our message will reach and affect people everywhere. We need the help of many. We require the help of the world’s peoples. We call on all to join us in this task. Creating a groundswell of organized grassroots efforts, exerting pressure on political leaders at all levels to do the right thing. The essence of the GaiaHope Proposal is wide stakeholder engagement throughout the world in combatting global warming. Because the Proposal is so personal for people, it will help them reduce their personal emissions, by changing their individual behaviours. for actionable feedback from the citizens of the participating countries. using funds from an international eco-lottery. As Gaia is the personification of the Earth, one possible name for the eco-prize could be the GaiaHope Eco-Prize, and the GaiaHope Eco-Lottery. The Sponsors will choose the final names. The Proposal calls for the establishment, by the City of Vancouver and/or other organizations in B.C. (the “Sponsors”), of an eco-lottery and eco-prize. then including major cities in other nations worldwide. The Sponsors would establish and administer the GaiaHope Eco-Lottery and the GaiaHope Eco-Prize. The GaiaHope Eco-Lottery will initially be funded by the Sponsors. Once established, the GaiaHope Eco-Lottery would be self-funding from the proceeds of lottery tickets sold in the participating cities. To fund the awarding of the new annual international GaiaHope Eco-Prizes, modelled on the famous Nobel Prizes; the winners in various categories will also receive city eco-prizes. o This lets people all over the world rate, in a fair and objective way, their own efforts and the efforts of their own towns and cities to reduce emissions of these gases. To directly fund greenhouse gas reduction industries (Emission Reduction Projects) in each participating city. the balance of the lottery proceeds would be shared between the City of Vancouver and each participating city (the "Participants"). c) for other purposes related to Emission Reduction Projects in their own cities. Lottery sales will take place in all participating cities. o the balance transferred to lottery-funded programs (this balance for US state lotteries is currently around 32%). o it will be a worldwide lottery, linking many cities in many countries together under the banner of the GaiaHope Eco-Lottery. The GaiaHope International Eco-Prize will be modeled on the Nobel Prizes. The GaiaHope Prizes (both international and city prizes) would be recognition of those who have fought our common enemy: global warming. the smaller prizes (the GaiaHope City Eco-Prizes). The GaiaHope International Eco-Prizes will be similar to the Nobel Prizes, with respect to the amounts, nomination process and selection process. The GaiaHope City Eco-Prizes will be for smaller dollar amounts, and will be selected through a nomination and selection process in each city participating in the GaiaHope project. Annual awards of the GaiaHope International Eco-Prizes will be made at the Award Ceremony in Vancouver. The person(s) awarding the GaiaHope International Eco-Prize would be the Mayor of Vancouver, and others selected by the Sponsors. The Sponsors will decide on the number and method of selection of the members of the nomination and selection committees for the GaiaHope International Eco-Prize. Persons from any country in the world may be nominated for these GaiaHope International Eco-Prizes. Nominations would not be limited to persons resident in the Participating Cities. The selection of recipients of prizes and granting of such prizes will take place in Vancouver. The stages of nomination and selection will be based on the stages used by the Nobel Prize, where appropriate. 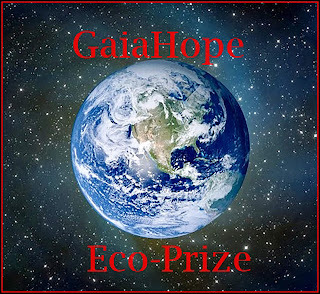 GaiaHope International Eco-Prizes will be awarded to more than one person each year, instead of being restricted to only one winner in each category of prize. The intention will be to encourage more people to take steps to reduce global warming, by having a larger number of prizes. Each GaiaHope International Eco-Prize will consist of a gold medal, a diploma and a monetary award. The monetary award for the major GaiaHope International Eco-Prizes will be equal to or larger than the current Nobel Prizes (of some US$1 million each). The gold medals will be engraved with symbols chosen by the Sponsors, and will be representative of the GaiaHope Eco-Prize concept. A process similar to the GaiaHope International Eco-Prizes will be used, including the award of medals. Prizes will be for smaller dollar amounts (ranging from $25,000 to $500,000). Many more prizes will be awarded under the GaiaHope City Eco-Prize program than under the GaiaHope International Eco-Prize program (so as to encourage people to participate in the reduction of greenhouse gases). Awards will be made in each Participant city, with Vancouver representative(s) in the nomination and selection committees of each Participant city chosen by the Sponsors, and other members selected by the GaiaHope Committee of each such participating city. Awards will be made in all participating cities on the same day, one month before the GaiaHope International Eco-Prizes are awarded (to create buzz). Winners of GaiaHope City Eco-Prizes will be selected only from nominees resident in the respective participating cities. For example, the San Francisco winners will be nominated according to the procedures established by the San Francisco GaiaHope Committee, and must be residents of San Francisco. If a group is chosen as the recipient of a city eco-prize, the majority of the members of the group must be resident in that city. Nominations and/or selections of candidates/recipients for the GaiaHope City Eco-Prizes will also involve nominations and/or selections using the YouRateThem program which the Sponsors will be establishing. This will enable ordinary people resident in participating cities to have some input in the nomination and/or selection of candidates for the various GaiaHope City Eco-Prizes. With the approval of the Vancouver Sponsors, cities in any state or country may join together to offer a combined GaiaHope City Eco-Prize. The other prizes will be for smaller amounts, and will include wherever possible prizes relating to environmental protection. Such prizes may be targeted at different market segments of potential lottery ticket purchasers. o and exchange-programs with other cities for students selected on the basis of environmental quizzes and other factors. Other prizes could be offered as well, such as those offered by other major lotteries. Random prizes may also be awarded to participants in the YouRateThem program. Members of the Order of GaiaHope (see below) will be awarded additional prizes if they win any Eco-Lottery prize, upon proof of membership in the Order. This will be an Internet-based set of programs, one for each specific participating city, and will be designed by the Sponsors and provided to each participating City GaiaHope Committee. The program will allow residents of each such city to nominate individuals resident in the city, or subunits of the administration of such city, for City Eco-Prizes. This would widen the recipients in a city from individuals resident in the city, to borough councils or other such units (such as the West End of Vancouver, for example). The aim would be to create competition amongst such subunits. Such nominations will be based on verifiable steps taken by the nominated persons (or subunits) to reduce their respective personal or total subunit emission of greenhouse gases during the preceding year. If a subunit of a city is awarded a prize, the financial award will be used by that subunit as it deems best. The YouRateThem program will be one of the main drivers of change in the GaiaHope eco-project and will target the harnessing of 'people power' in many cities in the fight against global warming. Once the YouRateThem program is firmly established in several major cities, it could be expanded in a second phase to add another countrywide or international level of competition. This would be between individual cities in different countries (say, between Rome, Chicago and Manchester, or between cities of similar sizes), and/or between cities in one specific country. An additional set of Eco-Prizes will be awarded to those within such categories who reduce their emissions the most (on a per capita basis). The Vancouver Sponsors would play a major role in developing the YouRateThem software, and the software needed to measure and monitor the emissions of individuals, cities and subunits of cities, to ensure accuracy and comparability. The costs of development and operation would be deducted from the gross sales receipts of eco-lottery tickets. The establishment and operation of each such lottery may be done either by the Sponsors and the participating Cities, or in conjunction with existing lottery system suppliers (such as EuroMillions, Eurojackpot, the Viking Lottery, or other similar lotteries). The sales proceeds of lottery tickets will be applied firstly to the payment of operating costs, and then to the payments of prizes to winners of the GaiaHope International Eco-Prizes and GaiaHope Country Eco-Prizes. Any remaining funds (the "Surplus") will be dedicated to the funding of projects designed to reduce global warming (the "Emission Reduction Projects"). The Surplus will be split between Vancouver and each Participant on an agreed basis. Vancouver will receive two amounts: one to fund Emission Reduction Projects worldwide on behalf of all Participants, and the other its share of the balance that is split between all Participating cities. Due consideration will be given in determining such city split to the relative absolute amounts raised by lottery ticket sales in each Participating city, and/or the lottery sales per capita of each Participating city. The bigger the sales in a city, the bigger the share of that city. (ii) in any other part of B.C. or Canada, or the world, including in countries which do not have any Participating cities. The balance of the Surplus may be used by each Participating city to fund Emission Reduction Projects within that city. The allocation of the Surplus to the Emission Reduction Projects will be done with the assistance provided to the Sponsors and the Participating cities by appropriate advisors and committees chosen by them for this purpose. Vancouver, if it wishes, could allocate a portion of the funds coming to it from its share of the GaiaHope Eco-Lottery sales, to the building of energy efficient and affordable housing. As the first worldwide eco-lottery grows in acceptance, the GaiaHope Eco-Lottery will enable Vancouver and the Participants to provide for the payment of several Mega Prizes (of several hundred million) each year to winners selected from all Participating cities, further increasing the attraction of the eco-lottery. The Order of GaiaHope will be established by the Sponsors as part of the GaiaHope program, and will be funded from the GaiaHope Eco-Lottery proceeds. The Order will be an international association dedicated to reducing global warming, and will be open to membership by anyone from any country. All Eco-Lottery winners become honorary members of the Order of GaiaHope. A primary objective of the Order will be to assist ordinary people in taking personal steps to reduce their own emissions of greenhouse gases, and to encourage others (including their own cities and states) to do so as well. GaiaHope can be expected to change the behaviour of participating individuals through enhanced knowledge, for example, of food wastage (one-third of food produced is not consumed), and the energy consumed to raise different kinds of animals for human consumption (beef being the most climate-damaging of all foods: each kilogram of beef produces five times more CO2 emissions than chicken or turkey meat). Best practices in combating global warming will be captured and promoted to all members of the Order of GaiaHope. The Order will have an electronic newsletter, which would help in sharing best practices. Participants will be made aware of voluntary climate change initiatives such as the Cities for Climate Protection (CCP) program (Vancouver joined it in 2001), and of the role citizens can play as part of this program. Participants in GaiaHope will be encouraged to dip into Climathon to see whether they can gather ideas for helping their own towns, cities and state to act on climate change. Climathon allows cities to identify their climate challenges and to call on their citizens to come up with innovative grassroots solutions during their annual 24-hour hackathons. MOVE ASIDE, TOM CLANCY'S RAINBOW SIX: HERE COME THE EUROS! The Euros grab the headlines and the reader! Like many of Glenn Ashton's other books, this one grabs you right away and doesn't let up until the very end. The "Euros" will satisfy anyone who is a fan of the Rainbow Six and Private para-military groups fighting off the bad guys. However, they are a bit classier and less super-human, therefore much more believable. In this case the bad guys are taken from the current headlines and set in both Notre Dame Cathedral and the sewers in Paris. 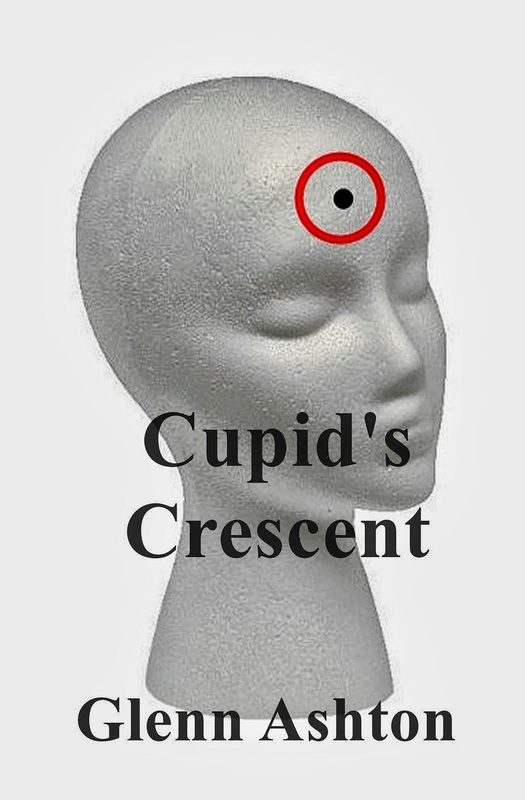 The location is finely crafted and shows an obvious flair for detailed research. This is a highly enjoyable read but don't expect to just read a bit and then put it down. That won't happen! WANT TO HELP YOUR AUTHOR FRIENDS? A Save the Cat! worksheet for you to plan your novel’s plotline, including all the Beats of Screenwriter Blake Snyder, plus notes on his method, along with space for you to draft your own plot notes. A Template (in Microsoft Word) of the Small Steps Plan for drafting your very own Book Promotion Plan. The same Template as an Excel program, allowing you to enter your own Small Steps Plan events. They can unsubscribe at any time, and there is no obligation on them. All they have to do is go to my author blog and click the Download button on the right panel! 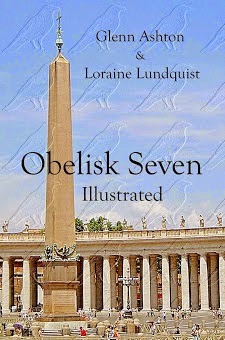 The link to my author blog is just below. 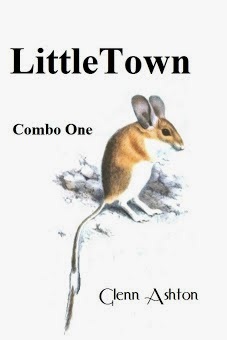 Welcome to my latest book, written for authors who wish to better market their books, and for all those who use social media in some form or another. 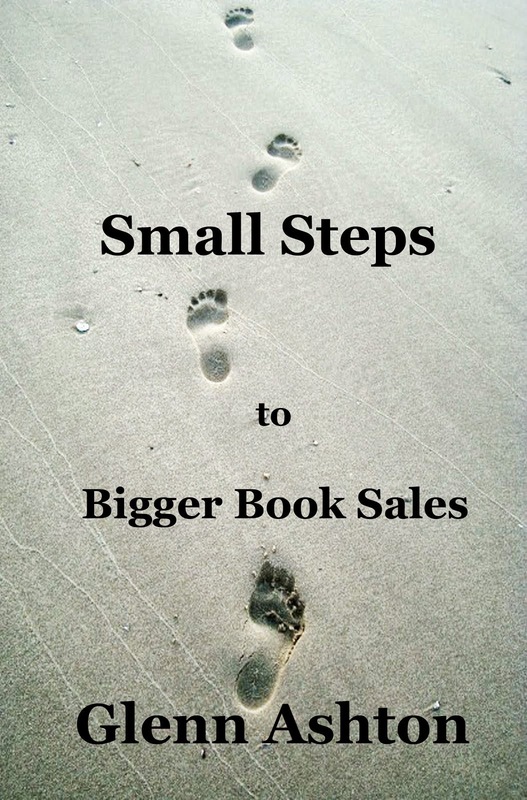 Based on proven marketing methods, Small Steps to Bigger Book Sales is for every author with books to sell, or anyone who wishes to improve dramatically their participation in social networks. You will be guided to do 20 Tasks, over 9 months, as part of your very own Small Steps Plan to market your books. You easily-prepared book promotion plan will set out methodical, small steps every week to market your books where they stand the best chance of being bought by readers. 5.	use other social networks tools easily and effectively; and do all this at your own speed and in the free time you have. It is very easy for you to start and to carry out your promotion plan, with most of the heavy lifting done for you. 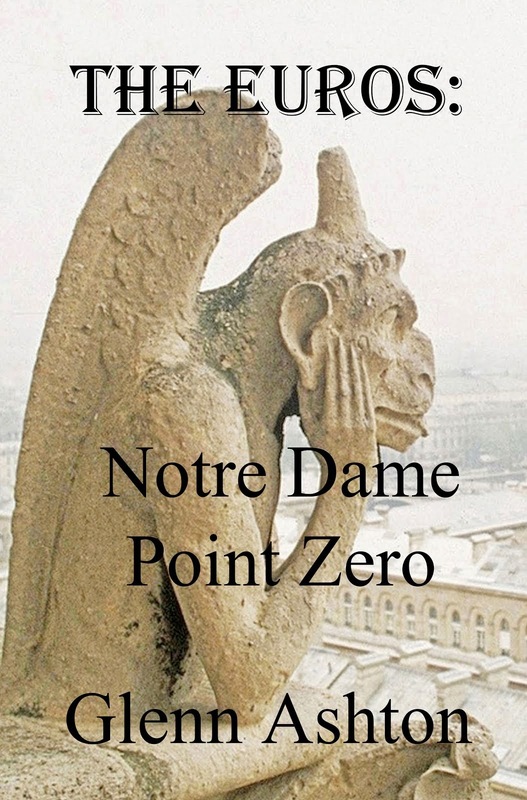 My latest book - The Euros: Notre Dame Point Zero - what is it about? How would you rescue women and children held hostage in Notre Dame cathedral in Paris by a band of faceless, nameless and ruthless men, who have attached bombs to each hostage, and threaten to blow up the cathedral if their demands are not met? That is the problem that The Euros face in this, the first book of the series about them. The Euros is the name for the Euro Protection Bureau, the highly skilled, well trained super cops unit formed to protect the European Union from threats to its integrity. With five headquarters – the Puzzle House in London, the Grooming House in Paris, the Toy House in Berlin, the Garage in Rome and the Story House in Prague - the PuzzleMaker and Headmaster, directors of the London and Paris HQs, have a limited time to find a way to make themselves invisible so that they may enter the cathedral, rescue the hostages, save the cathedral, and capture the Bad Guys. My Google Profile. Powered by Blogger.